Happy Thursday! I think I'm back on my regular YouTube video upload routine. 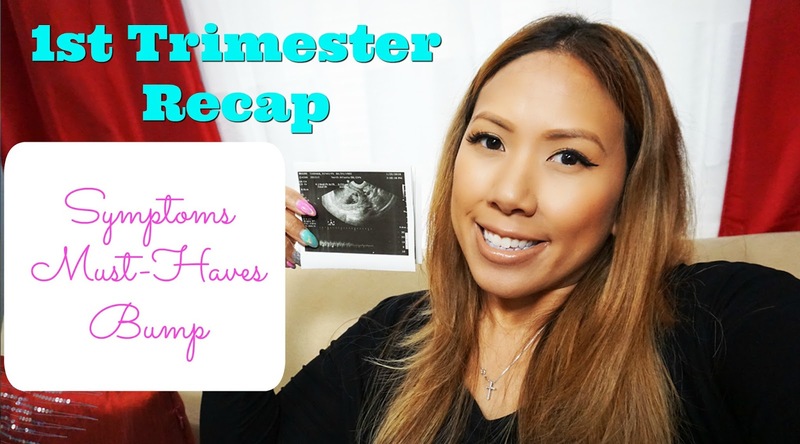 My goal is to do uploads twice a week so I can include one of those videos for my pregnancy journey. Now that I've shared the big news I'm catching up on my bump dates. In this video I recap weeks 1-13, my symptoms and some of the items that really helped me through it. This is my first baby so I'm so excited to share this journey with you. I'll be posting on a weekly basis, stay tuned! 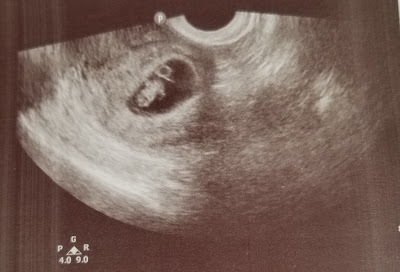 Here's a close up of my first ultrasound taken at 7 weeks 5 days. Doesn't it look like a little tele tubby? I definitely experienced morning sickness my first trimester. Here are the products I recommend. Everything purchased by me on Amazon. Also, eat small meals more frequently. Stay hydrated and try to keep snacks by your bed. I personally stuck with plain foods like breads and cheese, lol but hopefully you can eat more nutritious items. You can do it! Stay tuned for the next bumpdate for weeks 14-15 coming next week!